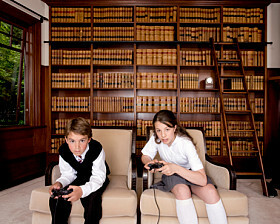 Rather Play Games Then Read State By State Law on General Liability Insurance Coverage? Let’s face it, there are no easy answers to that basic question every claims handler needs to ask: Is it covered? Nonetheless, it is a basic question that is sometimes fraught with trepidation. As you all know, there is no one source of coverage law interpreting your standard CGL form. 50 states means 50 different view points. How is one supposed to cope? While hiring counsel may be the quick and dirty answer, it’s not always the best solution. Regardless, as the well informed claims professional you are (as all of our readers are), you need to have a good understanding to know what the best solution is to address the problem. Not addressing a coverage issue can result in paying for claims that are not covered. Addressing a coverage issue improperly could result in a bad faith action and damage to your company’s reputation. Either way – knowledge is king. So How Does One Keep Up? Grab a copy of General Liability Insurance Coverage by Randy Maniloff and Jeffrey Stempel. This is truly a book that should be at every claim handler’s side. Unlike other treatises on insurance coverage, this is a relatively manageable paper back in under 500 pages. There is no attempt to get at every issue in the ever changing world of coverage. As the authors state in the preface that “despite the relative uniformity of policies, states can differ widely in their interpretation and application of insurance policies.” Nonetheless, the authors provide a great overview needed to understand the issue at hand so one can make a decision to pursue a matter further. Late Notice Defense Under “Occurrence” Policies: Is Prejudice to the Insurer Required? Very simply laid out, and written with a claims person in mind, the book explains complex coverage issues plainly. For example, they begin Chapter 4 on the Duty to Defend Standard by saying “If coverage issues were stocks, the duty to defend would be Blue Chip. Just as investors purchase such stocks in hopes of steady and consistent returns, the rules concerning an insurer’s duty to defend have long been unwavering.” Really a great way to advise of the foundational importance of this issue. So Don’t Be Left In A Coverage Black Hole And Pick Up A Copy. Posted in Book Review, My SPOT. Tagged with Book Review, CGL Policy, Coverage Issues, General LIability Insurance Coverage. Thank you for this kind review. I hope the readers of The Claims SPOT will check out the book. My assurance to them is simple — Jeff Stempel and I would not have put 3 years into this project if we didn’t think that the end-result would be one-of-a-kind. Our objective was to create 50 state coverage surveys that provide real substance — not just one line answers, as many others do. If anyone has any questions, or would like sample pages from the book, that demonstrate the extent of substance provided for each state’s view on an issue, just drop me a note at Maniloffr@whiteandwilliams.com. Also, a 20% discount is available from Oxford University Press by using promo code 29471 in the box in the upper right hand corner. Thanks again Marc for your generous review. Can you tell me if this book covers liability claims against a government agency (how to)? If not, are you aware of any books that might cover the subject? No it does not and I am not aware of one that does.